Royal Dutch Shell group’s dissident shareholders will press for a review of its tar sands project in Canada, at the oil firm’s annual meeting in May. Shell, which will hold its AGM in May, has been one of the lead companies in moves to develop oil reserves that are either mined or sucked out of the ground using expensive and energy-intensive techniques. BP and Total of France are also engaged in the sector. Shell has insisted that “unconventional” hydrocarbon sources such as tar sands are all justified to ensure that the world does not run out of oil too soon. But environmentalists have ­condemned their exploitation as “the biggest environmental crime in history” and said it must be stopped before it tips the planet over into runaway climate change. Al Gore, former US vice-president and Naomi Klein, the author and campaigner, urged the Canadian government to abandon its support for tar sands at the climate change talks in Copenhagen. Shell disputes the scale of the pollution but also says it will use carbon, capture and storage techniques to mitigate any negative impact. This argument has not stopped environmentalists – or shareholders – from opposing the plans. “Given Shell’s level of commitment to oil sands there is a greater obligation to shareholders to reassure how it would cope under a number of scenarios,” said Niall O’Shea, head of responsible investing at Co-operative Asset Management. “What if carbon capture and storage proves too costly in the oil sands? What if sustained high oil prices and carbon regulation lead to switching away from marginal, high-cost, high-carbon sources? And then there’s the cost of cleaning up the locality. Companies must be more rigorous and transparent with their investors,” he added. John Sauven, executive director of Greenpeace UK said he was pleased that the Co-op and other investors were putting the oil company on the spot. “The exploitation of the tar sands is an environmental scandal on a massive scale, and is set to become a campaign battleground for years to come,” he said. But Shell played down the significance of the shareholder rebellion over tar sands and pointed out this unconventional source represented less than 2.5% of total oil and gas production. “The resolution is basically a request for further information around the economics and other aspects of our oil sands operations. The resolution is submitted by shareholders representing some 0.15% of our total outstanding shares,” it said in a formal response. But Catherine Howarth, chief executive of FairPensions, which has ­coordinated shareholder opposition to the tar sands investments, described the move as ­historic. 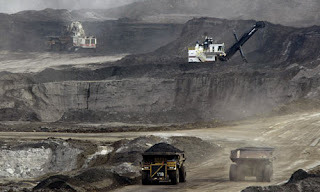 “All (shareholders) are united in ­registering concern with the risks involved in Canadian oil sands. We expect that Shell’s 2010 AGM could prove a ­watershed in the history of corporate accountability,” she said.